On February 10th, the WRT held a community tree planting event for the Keeping the Welland Cool project. 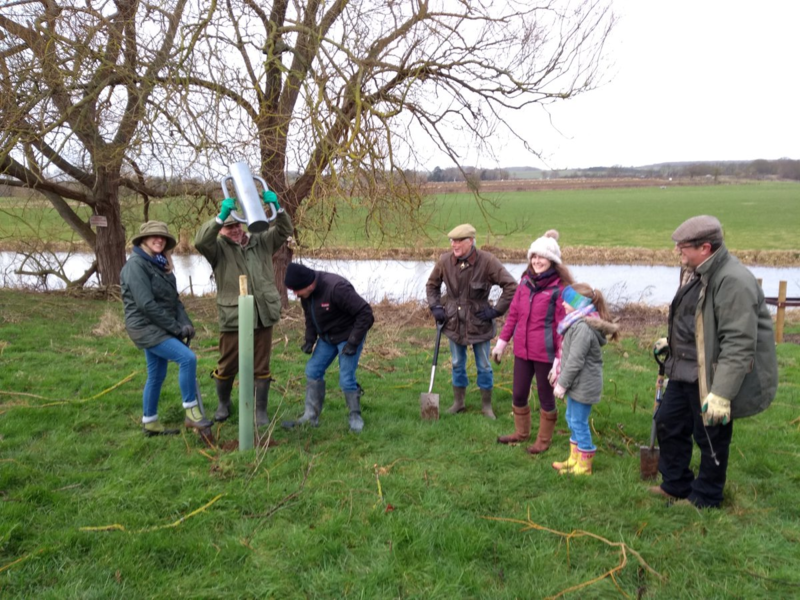 Despite more wet and windy conditions, 7 volunteers helped us plant 35 saplings along the river in Duddington (Northamptonshire). The aim of this work was to create important riverine habitat for wildlife, but also to help reduce flooding in the area, as trees are effective in slowing down flood water, and in soaking up water in the soil. We planted a range of different native species appropriate for wet soils, including English oak, Aspen, Alder, Hazel and Crab apple. If you would like to get involved, please follow us on Twitter and Facebook to learn about our future volunteering activities. Thank you.